William’s practice focus is complex commercial litigation and advice regarding business disputes, corporate governance, and media/entertainment issues. He has significant experience representing clients in need of emergency injunctive relief for trade secret theft and unfair business competition. William's commercial litigation experience is as noteworthy as it is varied. In every case he looks to apply a creative approach to bring advantage to the client. William has represented clients at trial and on appeal in state and federal court and before administrative tribunals. 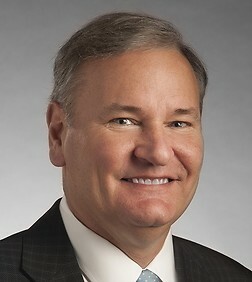 His broad experience includes representation of officers and directors in both private and public companies, shareholder disputes, complex real estate and construction disputes, merger and acquisition deals, and disputes regarding copyrights in entertainment properties. He has litigated constitutional and statutory law issues in both private and public law cases. William served in the Illinois Attorney General's office for five years, litigating cases on behalf of the legislative, executive and judicial branches of state government before U.S. district courts, state courts and administrative agencies.